Haroon & Natasha’s remarkable wedding at The Abbey Manor, London. With a capacity of 500 seated downstairs & 150 on the first floor manor suite. This is Sapna caterer’s in house venue and is nothing less than fabulous. Completed with gorgeous foyer for when your guests enter to all the glittering shadows from the crystal chandeliers in the main ball room, this venue is an absolute delight. 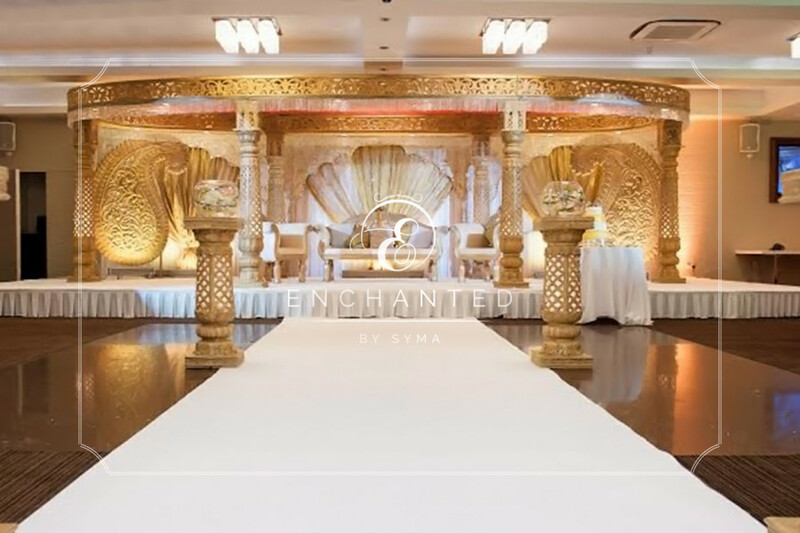 Our special couple had their heart set on a regal yet elegant look for their wedding hence wanted to work with Wed in Style, leading in stunning Mandaps and Enchanted for their unique creativity in centerpieces. We couldn’t think of anything better but to add in luxury velvet linen and chair covers with our pretty little touches to complete the look. 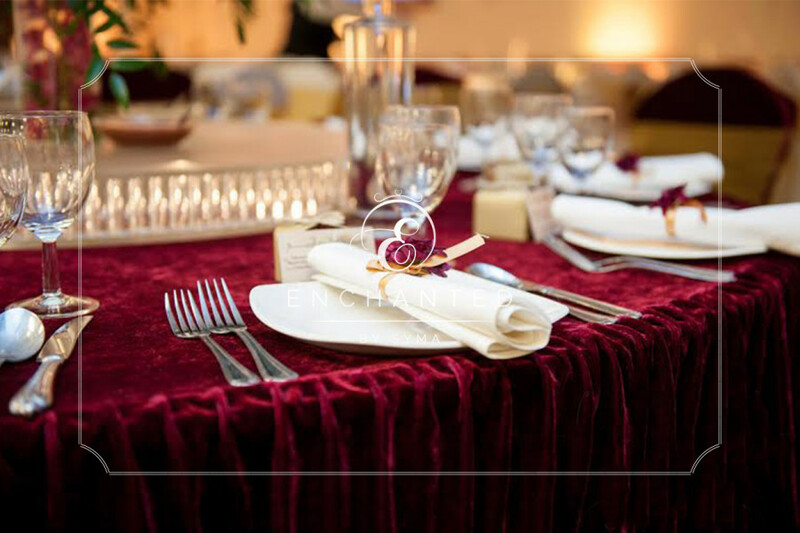 We decorated the venue with beautiful rich red flowers combined with our stunning birdcages. 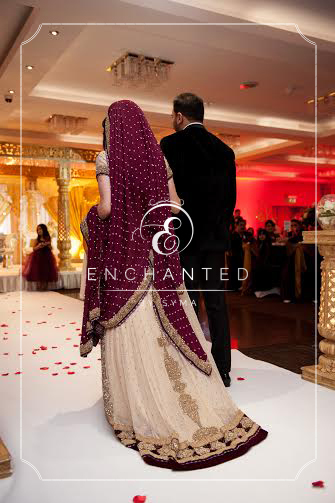 Enchanted left no bounds to create something simple & elegant yet striking for our bride & groom. 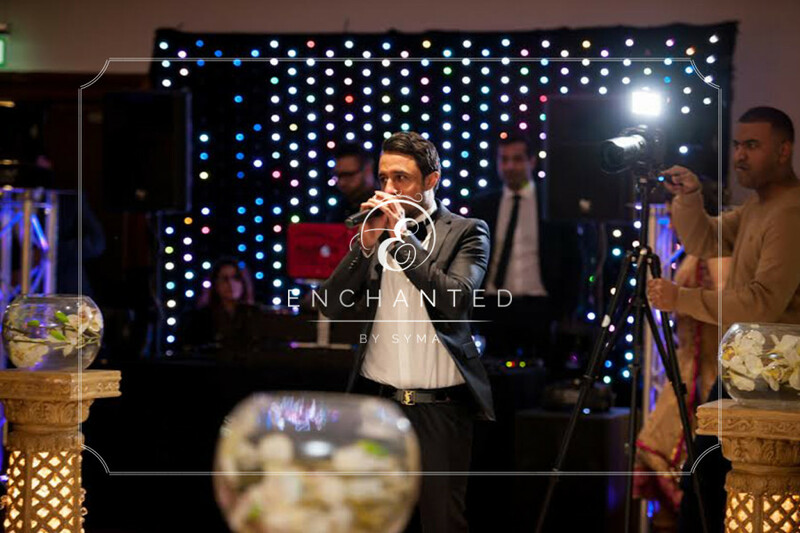 The evening was graceful, music was played by All star DJ Itz, with a surprise act from singer Nafees it felt like a dream. 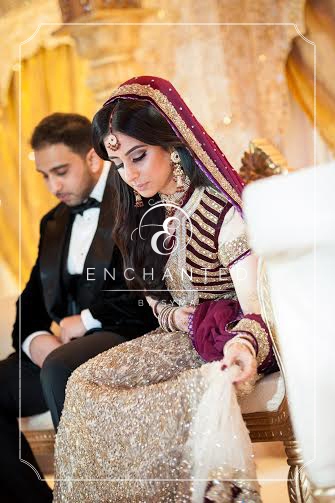 Enchanted wish Haroon & Natasha all the best for their new journey ahead.